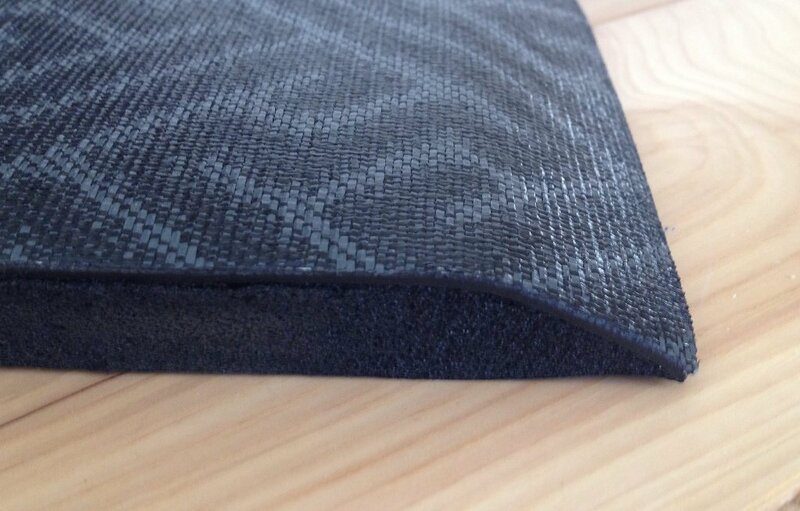 This line offers five designs in a fashionable black/grey color scheme that complements all decors. 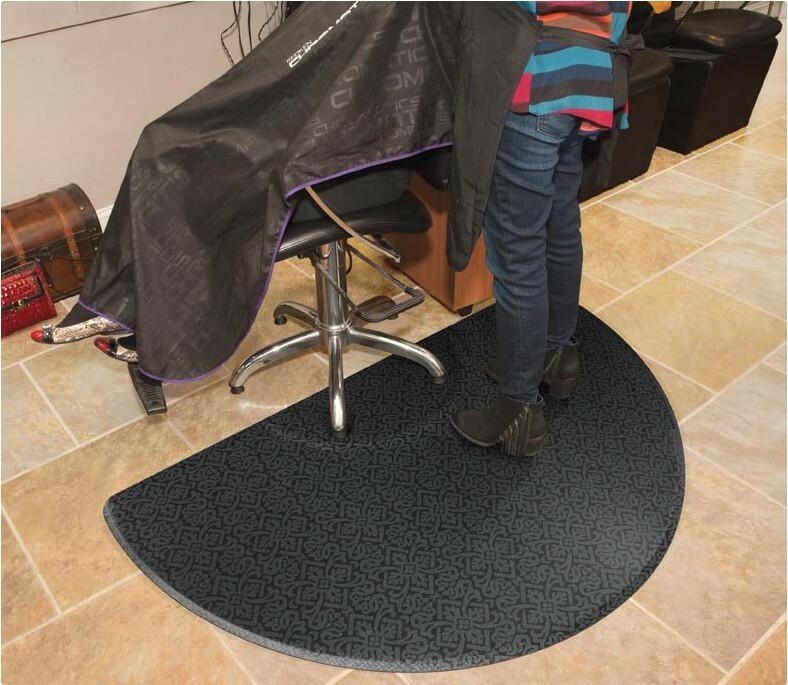 The 3/4″ thick mat top is made of durable woven PVC, that makes it resistant to high heels and stains. Recommended for beauty and barber shops. 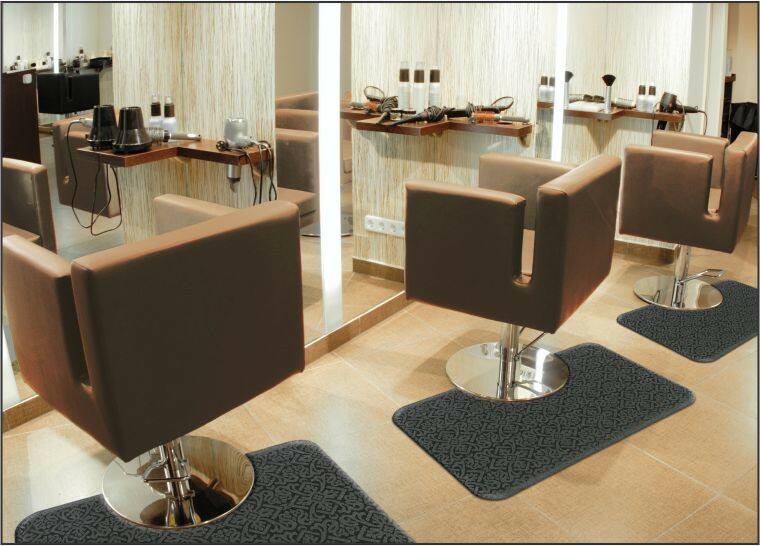 The top surface of the mat is molded to the back cushion, not glued, so hair trimmings sweep off easily. Easy to clean. Spray with mild surface cleaner and wipe off.